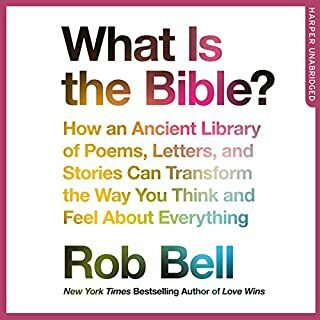 Despite Rob Bell’s apparent disdain for the comma, I absolutely loved this book. I learned so much; deeply insightful observations about scripture context and meaning. I highly recommend to anyone even slightly intrigued by the Bible. It helps to be familiar with the books of the bible but you can definitely still enjoy this book without any knowledge of them. Can’t wait to read my next Rob Bell book! His podcast is great, too.